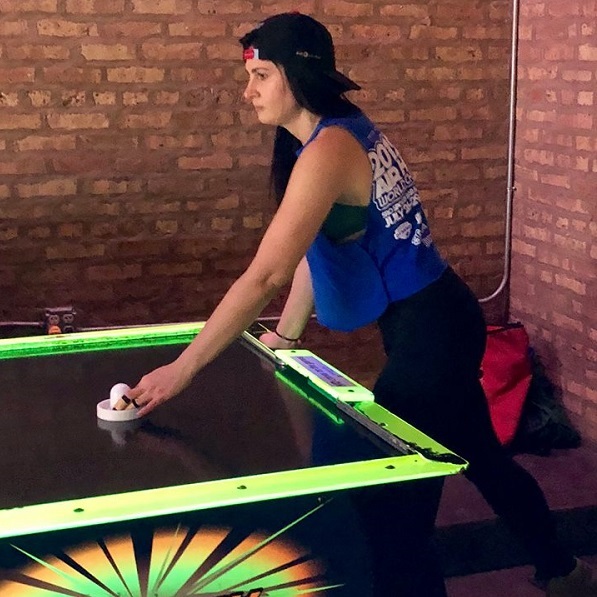 After getting started in air hockey in 2017, Allison “Scorpion” DiMichele has quickly risen through the ranks of the sport to become the #39 player in the world and the second-highest rated woman on the planet. When she’s not dominating the table in Chicago-based weekly tournaments, she’s hard at work making deals, closing sales, and trying to get her french bulldog Pudge to eat his green beans. 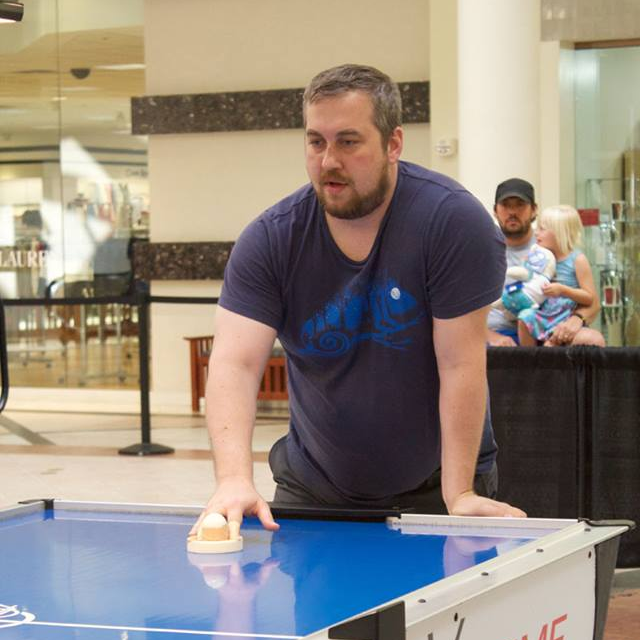 One of the top air hockey players in the world, Dan Meyer, is happy to teach players skills, run some fun tournaments, and share his love of the air hockey! Dan recently finished 5th in the World Championships, and is the two time Doubles World Champion. 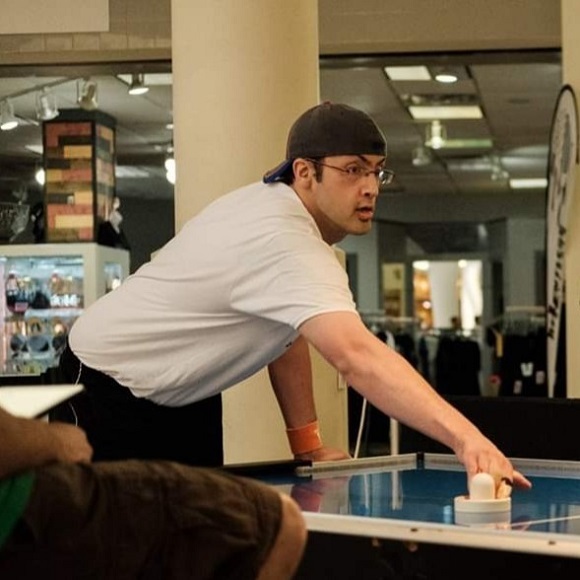 Brian Quezada has been playing competitive air hockey regularly since 2009 in Chicago. Currently at the #10 spot, he is shooting for his 5th top ten finish at a national level event in 2019. Along with his teammate Dan Meyer, Q is a two time doubles world champion. Brian enjoys discussing strategy and tips for air hockey with anyone who wants to learn. 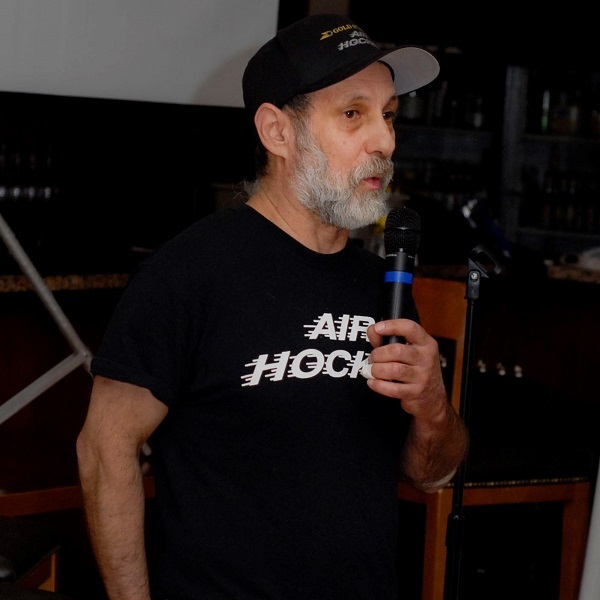 Mark Robbins is the president of Gold Standard Air Hockey, and he will be on hand with some of his amazing Gold Standard Air Hockey Tables! On top of that, Mark is one of the best air hockey players in the world! Are you ready to be schooled in the way of the puck at the Wisconsin Center? 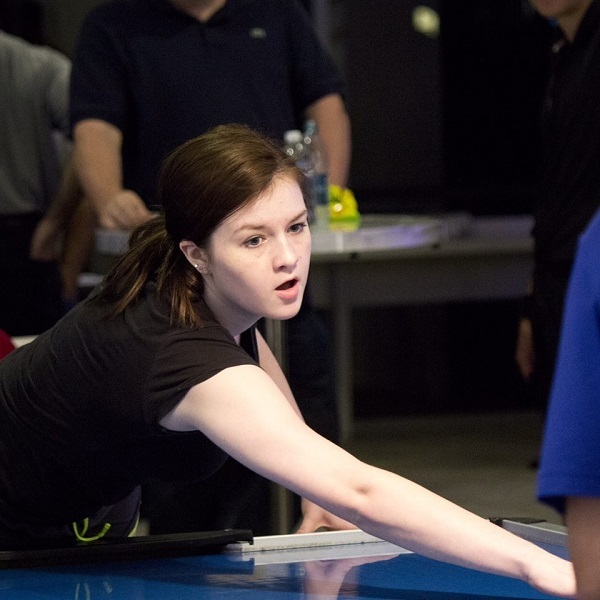 Sarah Weissman is a legacy member of the air hockey family, her father being a 10 time world champion and brother being a recent world champion. Sarah is currently the highest ranked female player. Sarah competes regularly in Houston, Tx where she lives. When she is not attending college classes as a freshman she helps promote local air hockey events and spends time with her family and two beagle puppies. Questions about attending, vending, sponsoring, or what Q-Bert is saying?